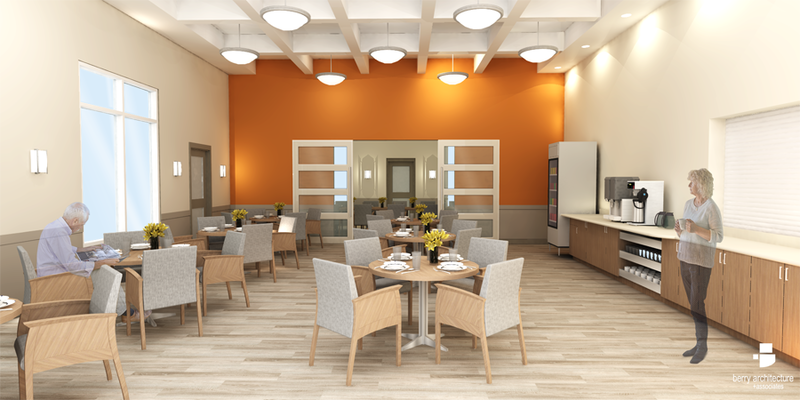 Clover Bar Lodge in Sherwood Park is a new construction seniors’ lodge project. 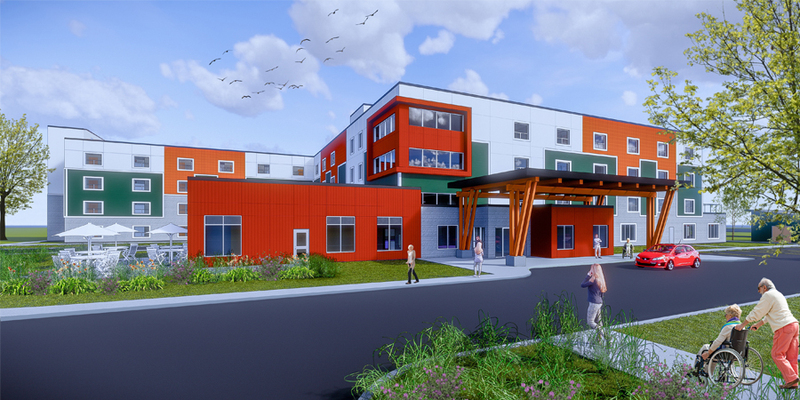 The project includes a new four-storey, 144-unit care facility with a scooter storage building and fully landscaped site. 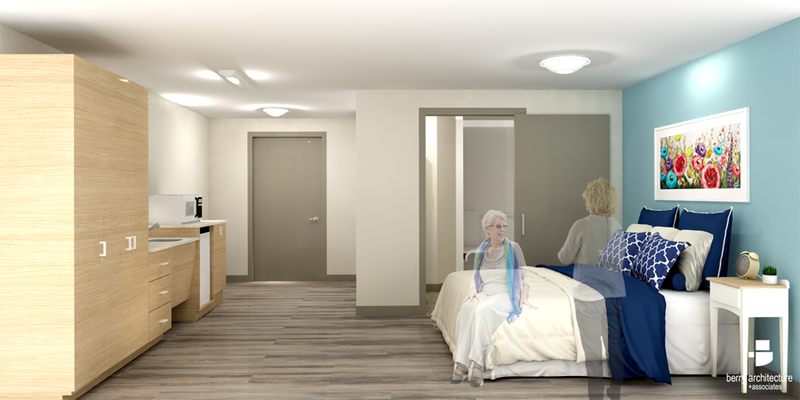 The facility has a single bachelor suite design for ease of client use. 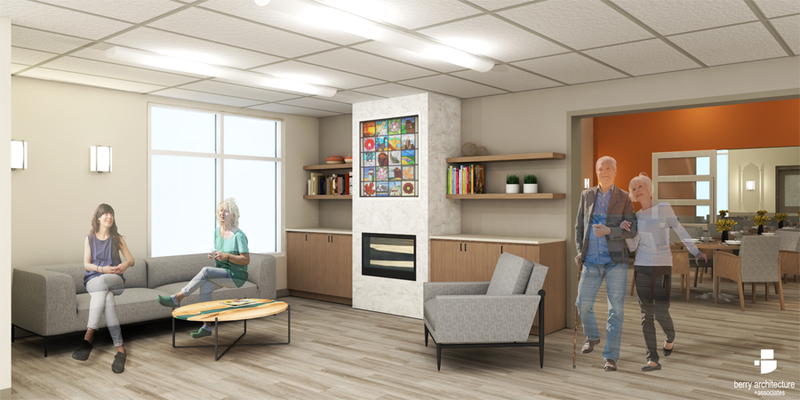 There are a number of amenity spaces including multipurpose rooms, activity rooms, a second floor patio, hair salon, coffee bistro, resident laundry rooms, commercial kitchen, commercial laundry, therapeutic tub room, and dining areas on each floor. 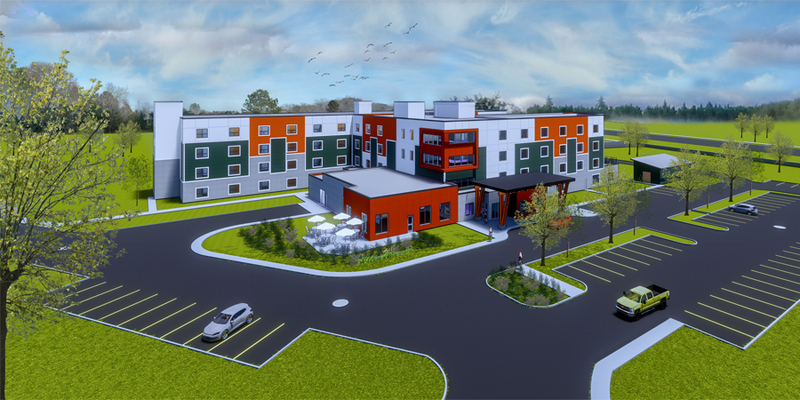 Bright colours were chosen for the exterior to complement the Sherwood Park neighbourhood. Fibre cement board was chosen for the majority of the exterior finish as a cost effective and durable solution. 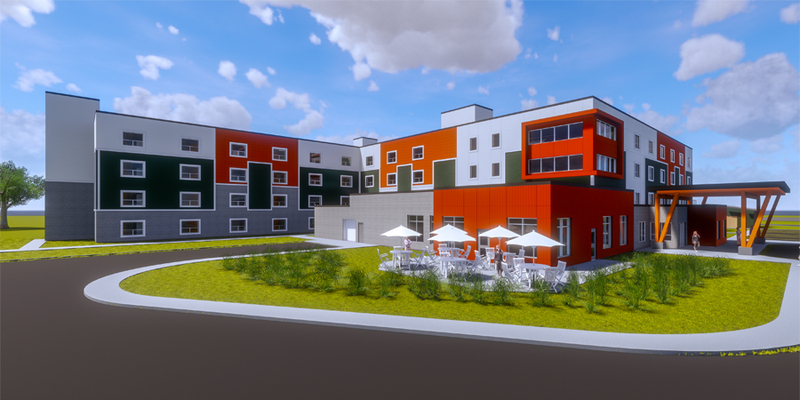 This is a Design-Build project we are undertaking with Shunda Consulting & Construction. Project is currently in the Construction Documents phase. The completion target is January of 2021.